PwC’s Derrick Vickers: soon to resign after dispute with Ostwald Bros Committee of Inspection. Hell hath no fury like a Committee of Inspection (COI) convinced it’s been kept in the dark – just ask Derrick Vickers. 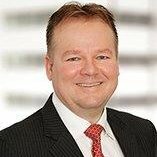 PwC’s national head of corporate finance and restructuring was appointed voluntary administrator (VA) of Queensland-based Ostwald Bros Pty Ltd and two other Ostwald group entities back on August 28, 2017, just two days before the commencement of tranche 2 of the Insolvency Law Reform Act (2017). Now he’s being forced to court to seek approval for various commercial arrangements he entered into with various members of the COI, which weren’t disclosed to all members of the committee and have not been approved by creditors. “All transactions have been entered into in good faith and on commercially arm’s length terms,” Vickers told SiN this morning. “As the matter will be the subject of an application to Court it is inappropriate to provide any further comment at this time,” he said. Sources have advised that when the Ostwald Bros COI was formed Vickers advised that neither PwC or its lawyers Clayton Utz had any relationships that might raise an eyebrow. Over the ensuing weeks and months it emerged however that PwC’s tax division had undertaken work for construction firm Seymour Whyte, which potentially owes Ostwald Bros approximately $11 million. It’s in no way a serious omission and may well point to PwC’s conflict check processes taking time to adapt to the new rules applying to Declarations of Independence, Indemnities and Relevant Relationships (DIRRIs). PwC wouldn’t be the only firm having a few issues in that department. But there was more. In the months prior to the Ostwald Bros collapse Seymour White’s board recommended shareholders accept a $113 million takeover offer from French construction group Vinci. Clayton Utz, Vickers’ legal advisors on the Ostwald appointment, advised Vinci on the Seymour Whyte takeover. Emails between COI members indicate that the committee was deeply unimpressed that Vickers hadn’t told them about the tax work or about Clayton Utz’s work for Vinci. While Vickers apologised to the COI members for failing to disclose the tax work, Clayton Utz partner Scott Sharry adopted a different stance. “You have now asserted a conflict of interest in respect of a role the firm had which involved a potential acquirer of the business of Seymour Whyte,” Sharry said in an email to COI members dated November 11, 2017. “The acquisition was not complete and any potential cause of action available to Ostwald Bros was against Seymour Whyte not its acquirer. The assertion of a conflict is rejected,” Sharry said. Clayton Utz dealt with the potential conflict by engaging KingWood Mallesons (KWM) to undertake an adjudication of Ostwald Bros’s claim against Seymour Whyte but it was the failure to disclose these and other arrangements when COI members first made enquiries that’s fuelled this spat. Whether the COI was entitled to hold an expectation of near continuous disclosure by the administrator however is a point practitioners will have to take into account as creditors explore the limits of their enhanced powers under the the new ILRA provisions. Certainly in regards to PwC and the Ostwald COI the relationship looks fractured beyond repair. Vickers confirmed he has agreed to resign in April once a deed of company arrangement (DoCA) executed on his recommendation by creditors of Ostwald Construction Materials comes into effect. “It’s expected that we will conclude as liquidator of Ostwald Bros at a time which is in the best interest of creditors,” Vickers said this morning. Waiting in the wings to replace him are Cor Cordis Queensland partners Darryl Kirk and Matt Joiner, and while they would need to submit a new consent to act Kirk is a relatively recent departure from PwC and could no doubt ring Vickers for some intel before deciding whether or not to venture into this particular minefield. 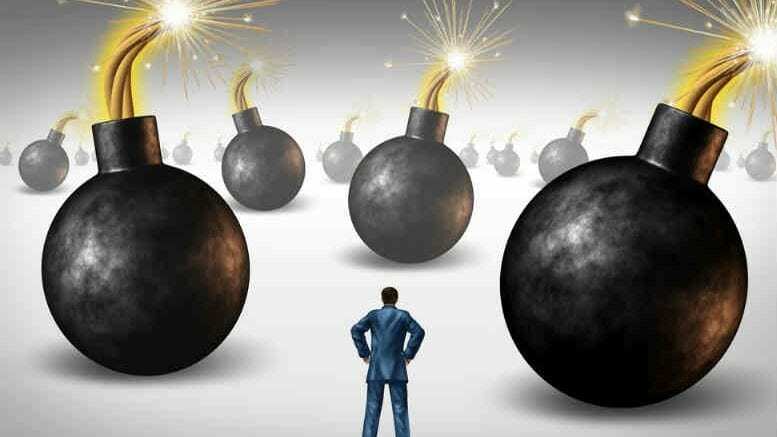 4 Comments on "COI conflict creates world of pain for PwC partner"
Will the new IP’s waiting in the wings be appointed by the COI on behalf of the unsecured creditors? The DIRRI of PWC also indicates that PWC are on the panel of providers for ANZ. ANZ are a secured creditor of Ostwald. The report to creditors indicates this company probably traded insolvent for 14 months prior. It also indicates that Ostwald entered into a joint venture with Seymour Whyte to undertake another section of the Pacific Hwy construction. How did the JV get the accreditation necessary to undertake federally funded work whilst one partner was trading insolvent? Ostwald at the time of appointment was engaged on 2 federally funded road projects. The Administrators report indicates that Ostwald’s financial position nosedived by $11 million over the course of 1 month about 9 months before appointment. Also are ARITA or ASIC looking into these matters? Should comment not be sought from them? Or are they asleep at the wheel (again)? Also interesting is the Administrators report indicates numerous asset transfers to related entities and parties but no books and records kept for over 3 months despite the company having dedicated financial control staff. The company was reported to have had a shortfall of around $10m / month for a period of time. There are 381 subcontractors owed over $23 million. That takes the amount owed to QLD subcontractors $385 million since 2014. One would certainly hope that if Ostwalds Directors couldn’t do it that between the ANZ Bank and project managers of major Government road constructions in QLD and NSW that someone was watching the backs of the poor unsecured creditors. History repeating itself again and again. Time for a major shake-up and perhaps poor Mr Vickers is the whipping post.